Why choose Mahana Dance Company? Experience (over 2,000 bookings served since 2009), authenticity (dances, music, and costuming like those at a luau in Hawaii), and professionalism (our team is standing by to customize your luau experience). 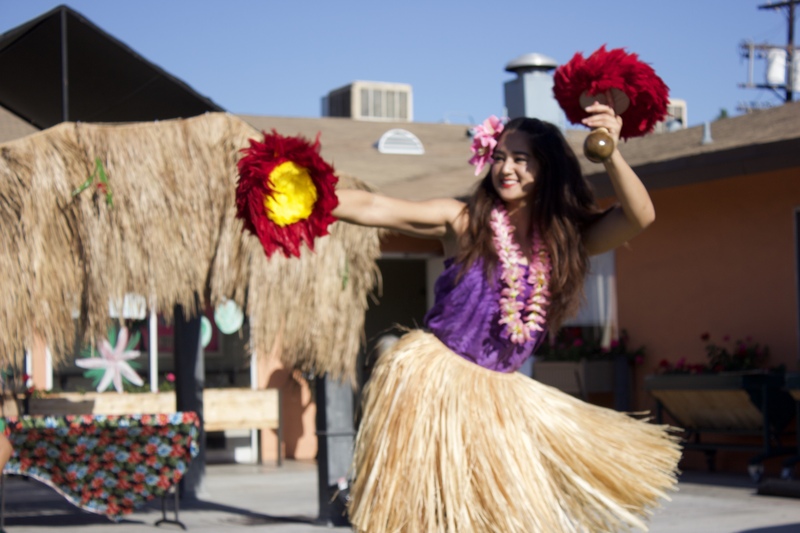 We offer beautiful hula dancers, Disney's Moana Character, tropical island musicians, exciting fire knife dancers & more for your luau theme needs! Our resume includes TV appearances on Lip Sync Battle, America's Got Talent, shows for Islands Restaurant, Staples Center, Taco Bell Corp, Tiki Mermaid Cruises, Don the Beachcombers, and hundreds of private residential and senior home luaus. Read More..
Torches, burning coconuts, fire poi balls, fire knife - we put on one HOT show! . Luau dancers for all occasions .